Desert camping experience between the sand dunes is one of the important experiences that you shouldn’t miss if you are in Saudi Arabia, to spend a night in the desert and enjoy the warm fire, look at the bright stars in the sky and enjoying the quite environment in the middle of the desert away from the noise of the cities. Desert camping is a must for everyone who is visiting Saudi Arabia, A memory to share with your family and friends back home. This is one safari you can’t do back home. We recommend it highly and it will be worth every penny spent! 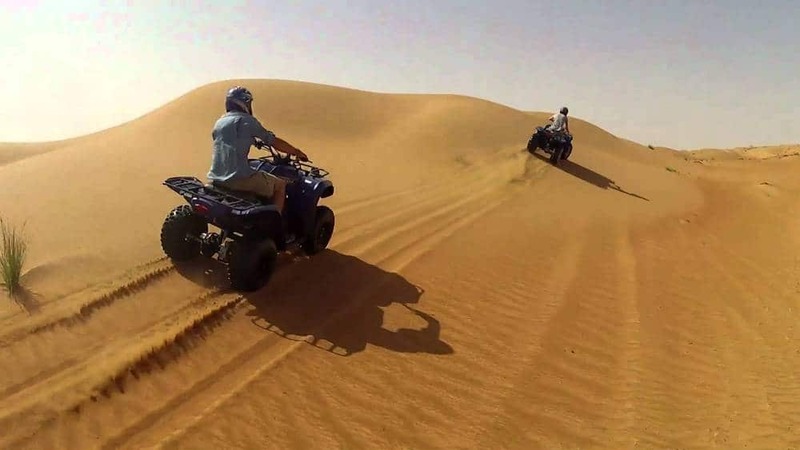 This tour for group and teams who want to go out and live the real desert in one night, doing activities, watching professional Dune Bashing. Tour departs in the afternoon across the desert (40 min south Jeddah). The drive continues across the desert. We reach the camp at 3:00 pm. Pick up in Gathering point 1:00 pm. Drive through the desert along – Dune Bashing. There is minimum 10 persons required for this package. Please note that this is not recommended for children below 3 years and the Dune bashing is quiet bumpy and not safe for the infants also we don’t have any special seats for babies. *Pregnant women and very elderly people are also not recommended. Our drivers are professional and licensed drivers and are trained in First aid, our cars are fitted with roll cage to protect the occupants from being injured in an accident, particularly in the event of a roll-over in the desert which is very rare. Plus there are seat belts for every passenger. We use 4×4 cars for our safari. One must get a camera when going to a desert safari in Masturah as the views are breath taking and awesome, also one should wear comfortable cloths and avoid jewelry or expensive watch and cell phones as there is no signal at the camps. Do try the Arabic coffee at the camp! Another Popular activity in the desert is the camel trek. Enjoy the sunset while you are on the highest dune going towards the camp where you have drinks and dinner waiting for you. This is a more personal way to experience the desert environment; you get a glimpse of the desert vegetation the strange insects on the sands. Plz give all details about the safari? How to avail and how much the cost? It depend on the tour package you select. check our tours packages page. Is the rate per person 300 SR or family ? I checked ur packages…. Is the rate per person 300 SR or family ? What age does kids count? 4 Years and above are allowed to join our desert camp although for dunes bashing and Quad bikes activities should be 12 years and above.